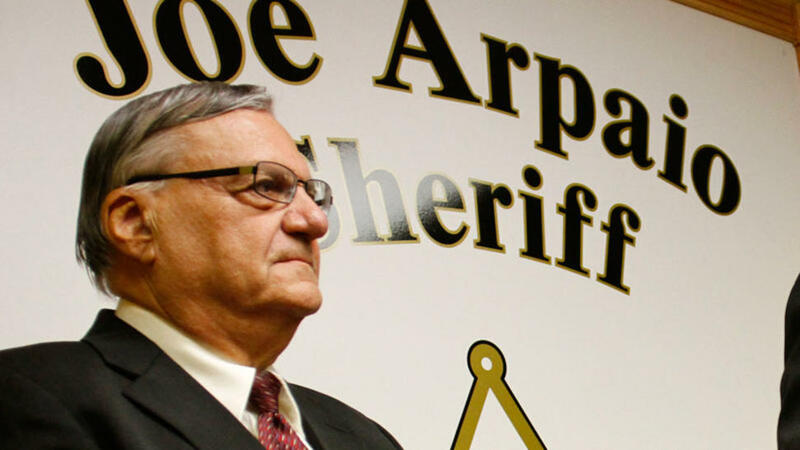 If there is anyone who should get a pardon, it’s Sheriff Joe. President Donald Trump said he may soon pardon Joe Arpaio, the former sheriff in Maricopa County, AZ, who was convicted two weeks ago of criminal contempt for defying a state judge’s order to stop traffic patrols targeting suspected undocumented immigrants. At the very least, Trump should do so to drive the LEFT into their unhinged state of being. 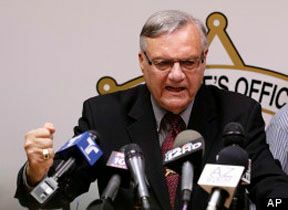 Maricopa County Sheriff Joe Arpaio, “America’s toughest sheriff,” predicts that the New England Patriots will defeat the Seattle Seahawks and win the Super Bowl 27-17. Sheriff Joe Arpaio says he will allow some inmates to eat popcorn during Super Bowl Bowl. And if the Patriots win, or he might make you wear the pink underwear again. The Arizona lawman who bills himself as “America’s toughest sheriff” predicts the New England Patriots will win the Super Bowl and says some inmates will be allowed popcorn as they watch Sunday’s face-off with the Seattle Seahawks. Joe Arpaio, the 82-year-old sheriff of Maricopa County where the National Football League’s championship game will be played, held an event on Saturday at which he popped the popcorn and forecast the Patriots will triumph 27-17. He also took a cheeky jab at his favored team over the “deflategate” scandal, in which the Patriots are accused of using under-inflated footballs during their AFC championship triumph against Indianapolis. Holding up two mock footballs, one for each team, Arpaio noted that the one for New England was softer. “I don’t know if I can blow this up, but it is kinda deflated!” he said with a chuckle. WAY TO GO JOE … MOVE OVER WEIGHT-WATCHERS, NUTRI-SYSTEM AND THE PALEO DIET … SAY HELLO TO THE SHERIFF JOE DIET. The regimen actually is a baked loaf of ground-up fruits, vegetables, milk powder, dough and other ingredients and, though it fulfills nutritional requirements, is decidedly unappetizing. 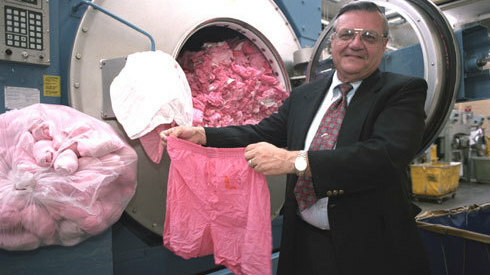 Arpaio said that any inmate who damages a flag will be eating the so-called nutra-loaf — without utensils — for two weeks. Of course the ACLU will come up with some ridiculous rebuttal to this to hoe the criminals civil right were violated.